Our homes are one of our greatest investments. But how do you spruce up your property without breaking the bank? Whether you are looking to sell your property, or simply perk it up for your own enjoyment, there are a few things you can do to ensure you stay within budget. So long as you are willing to put in a little elbow grease, you can add value to your home without forking out over the odds by following some of our nifty DIY tricks and tips. Check out our handy infographic and article, where you’ll discover the top facts and the best hacks! Speaking to a realtor or interior designer could save you money in the long run. You may have to pay a small consultation fee, but gaining professional advice on the appropriate actions to take will ensure you are not doing any unnecessary work. You may also get some great ideas that hadn’t yet crossed your mind. Nothing freshens up your home like a new coat of paint on the walls. In addition, it will help to conceal any scratches, marks or outdated colour and tacky wallpaper. We recommend choosing a neutral or light colour scheme that brings the whole building together and makes it look bigger and more modern. Home improvements often go beyond cosmetic changes. Water leaks, rotten floor boards, or electrical issues (to name but a few) can dramatically affect the value of your house – and the longer you put off the repairs, the more expensive the job will be to fix. Hiring an inspector to check the building, and not skimping on home care and maintenance will ensure that problems does not manifest and become costly later down the line. 4. Knock down and make space! Creating open spaces is one sure-fire way to increase the value of any property. Knocking out unnecessary walls to widen rooms, or removing structures that block your path (e.g. kitchen islands) can create a better flow. Open plan homes are becoming more popular among potential homeowners. While this project may be a little on the expensive side, and you may need to call in a professional, the return value can be immense. Pruning and landscaping the garden and surrounding foliage is one way to increase a home’s selling potential. Unruly plantation can not only obscure views and create darkness, but can also promote the growth of mold and conceal certain maintenance issues. Trimming the lawn, shrubbery and trees can help you to see a dramatic return on your investment. The green home is no longer a thing of the future, and homeowners are paying tremendous attention to the efficiency and environmental friendliness of their homes. Consider replacing old heating and air con systems, adding solar panels, and contacting energy efficient companies for money-saving advice. Energy companies can not only save you money for other DIY projects, but are also very desirable to possibly buyers. Many prospective home buyers will make a decision about whether a house is a contender within seconds. Small actions like ensuring the doorbell works, there are porch light installed or there are sheltered areas could prove effective. In addition, adding little touch-ups – painting the front door or potted plants – will ensure your property looks inviting, appealing and in good shape. 8. What lies beneath (your feet)? Spending a little money on the floors in your house could dramatically affect the value of your property. You don’t need to spend much – add a few nails where floorboards are squeaky, repair broken tiles and damaged floor panels, rip up old carpet to expose those beautiful wooden floor boards. Upgrading the lighting in main rooms of your house can make the whole space with brighter and wider – and also adds to the property’s value. Also consider adding dimmers so that lights can be used to set the mood. In addition, consider ways of letting as much natural light into your house as possible – not only will this give a calming atmosphere to your house, but will also make the space look bigger. One of the most joyous sights when viewing a potential house is a copious amount of space and storage areas. The functionality of a house rests on these two valuable commodities. Minimising clutter is a must, but also think about adding shelving units where possible and utilising spaces such as the garage, basement, closets and wardrobes. With a little ingenuity and hard work, you can undertake these DIY projects without spending a lot of money. 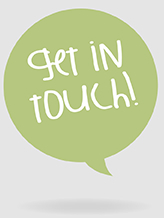 If you would like to speak to the experts about any questions regarding your property, or to get a helping hand with your renovations, please get in touch today. We are based in Exeter, Devon, and happy to assist on any home care/maintenance projects – big or small. Why not find out how we can help you?